A number of the bat group are specially trained volunteers, who go out on behalf of Natural England to visit churches and homes, where people want advice about bats. (This service is free). At this time of year things begin to get busy as maternity colonies reach thier maximm size and sure enough yesterday we had a request for one such house call. Soggy went round to the house and counted out 270 soprano pipistrelles. 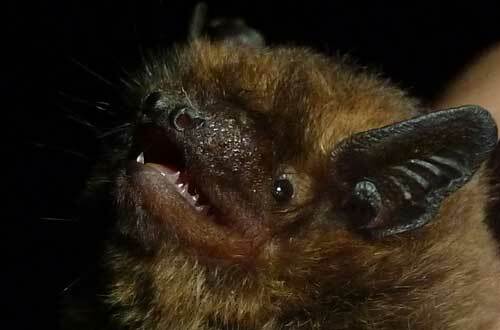 (Soprano pipistrelles form larger maternity colonies than common pipistrelle. Regular readers will know we monitor one roost with over 1500 occupants). This entry was posted in Uncategorized and tagged Natural England, roost, soprano pipisrelle. Bookmark the permalink.